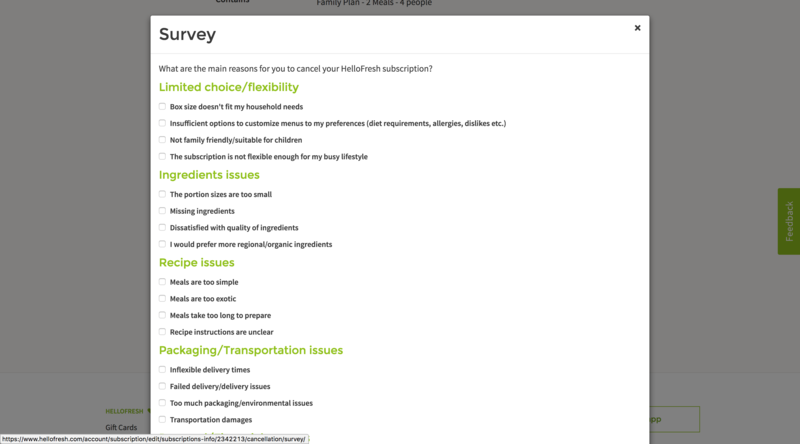 HelloFresh's cancellation flow helps them mitigate churn and capture valuable feedback to improve their product experience for the future. 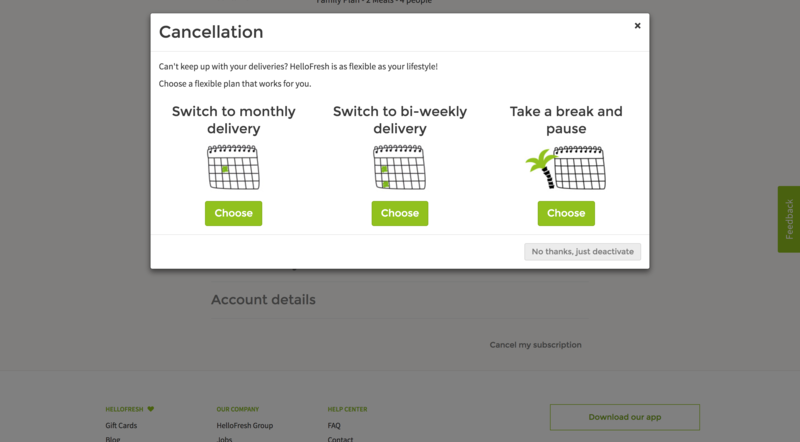 By giving options up front to change a user's plan or pause their account rather than cancel, HelloFresh mitigates churn. 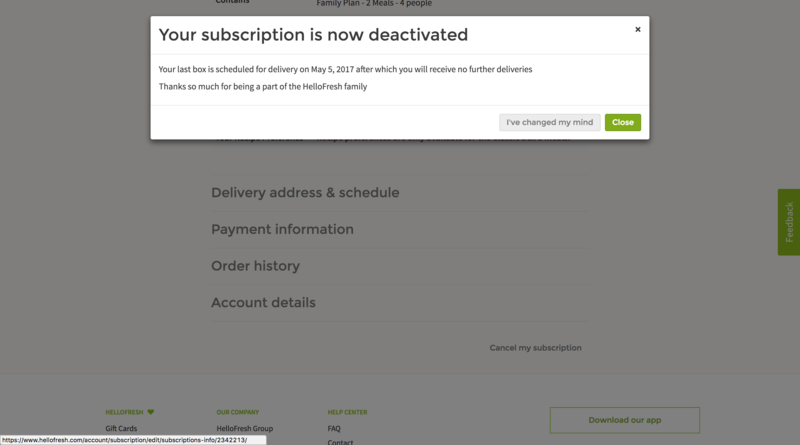 Even when the subscription is deactivated, there's a last ditch effort to resurrect a user who maybe accidentally found themselves here. 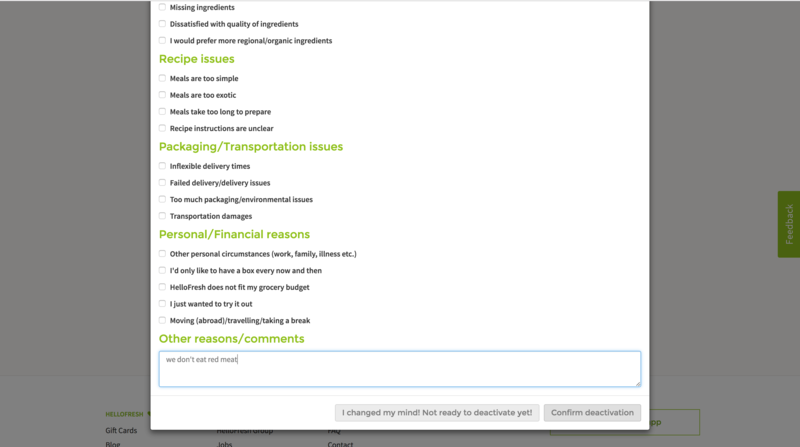 See the 'I've changed my mind' button in the final screenshot.